I believe in reading the signs of nature when trying to time fish activities such as spawning runs. This year, the fall weather had been warm and dry. Although the days are getting shorter, the leaves continued to bask in our bright sunny days and the trees had yet to put on their fall coats yet. We are, on average, about 2-3 week behind. 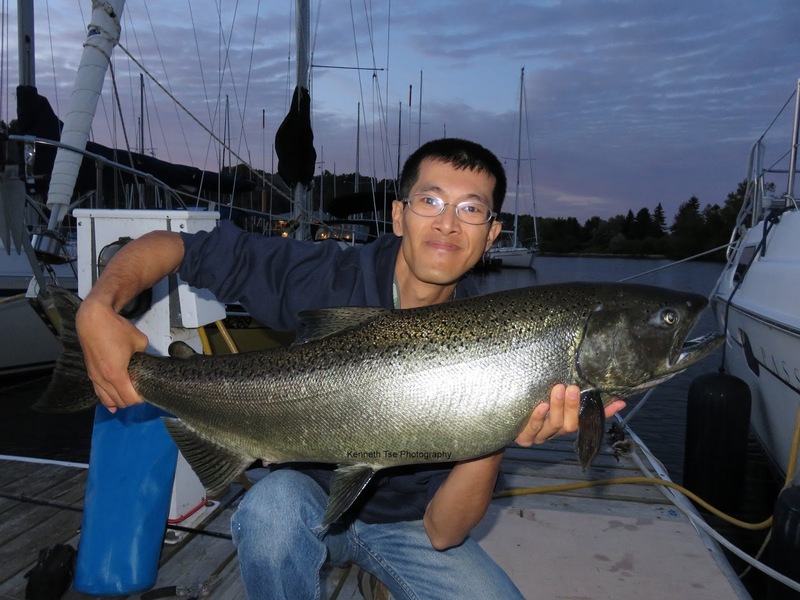 Inshore water continued to stay above 70F and salmon are not spending too much time at the rivermouths. 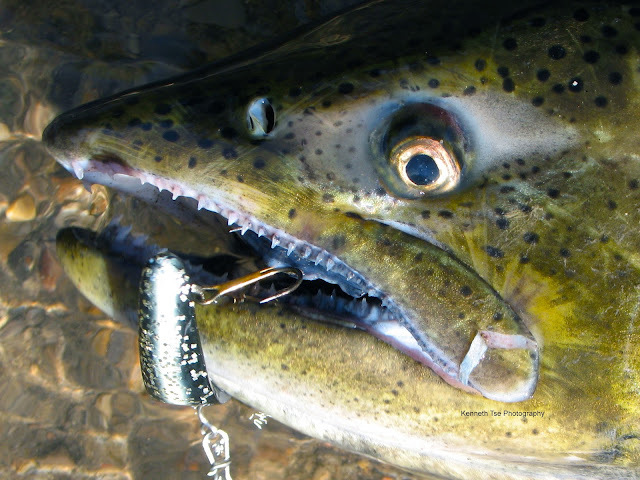 The lack of rain has prevented salmon from reaching upper stretches of their spawning streams. Thus, salmon run has been delayed. Most of the streams west of Oshawa has reported very few salmon. Usually, the marina basin at Bluffers Park sees a trickle of salmon in late August and the run peaks in mid to late September. Yet, we saw only a handful of jumping salmon since mid-August. I got lucky one evening during the 2nd week of September when there was no jumping salmon at all. It was a one bite, one fish night. Stream fishing has been difficult in the streams west of Oshawa. 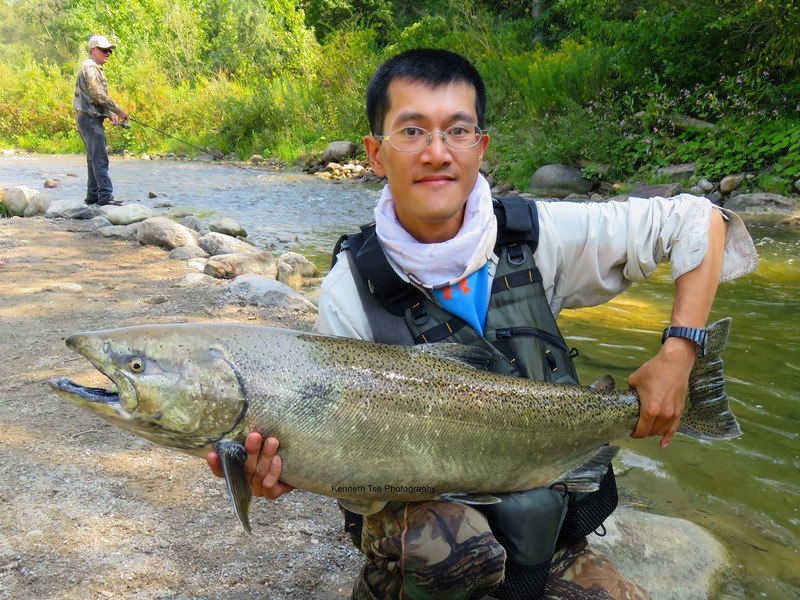 Although the salmon run earlier in the eastern Lake Ontario tributaries, the low water had prevented fish from reaching the middle section of many streams. With fewer fish, there are also fewer crowds. I'm tired of the typical salmon crowds and would rather pick at the lower number of fish than deal with the shenanigans. One Saturday in early September, my friend Andrea and I fished for a morning. There were handfuls of fish entering and leaving the pool before the sun was high. We managed to land 3 fish. Even in late September, there are very few fish in the western streams, and the fish that are present are extremely wary and difficult to approach due to the low and clear water. With a bit of stealth and a lot of persistence, you can get the odd fish to hit small lures out of aggression. With the salmon fishing so poor, the headwaters is a good alternative. 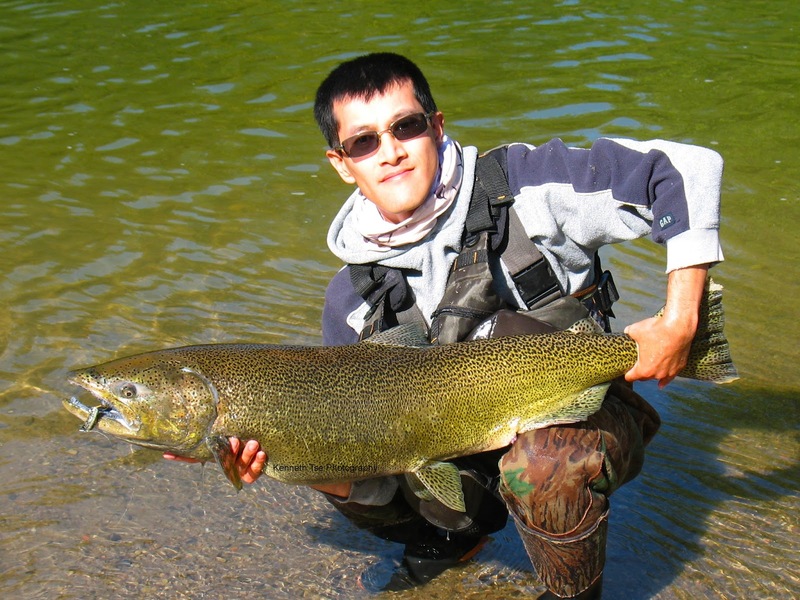 Trout fishing usually improves just prior to the closure of trout season at the end of September. These little gems are preparing to spawn and the arrival of winter and they feed aggressively on any items that drifts by. 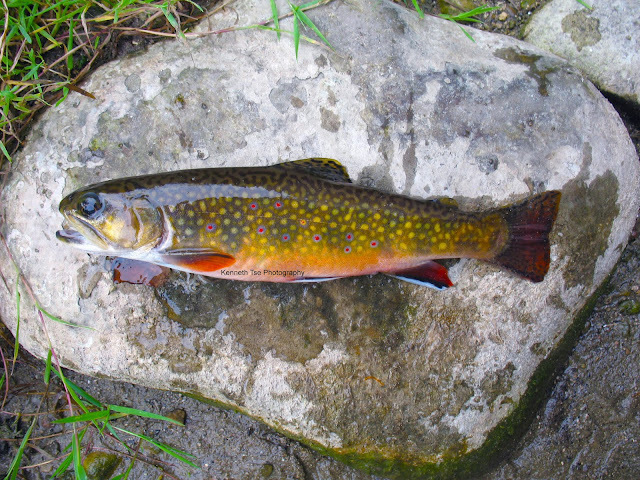 Dry fly fishing for these beautiful Brook Trout in a small intimate stream is one of my favourite things.